Greens in the winter - a delicious additive to salads, sauces, soups, or main dishes. To prepare the fennel, parsley, celery and other herbs a variety of ways. One of the most convenient - salting. Impregnated with salt, herbs preserves vitamins and rich aroma. To do homework in different ways. 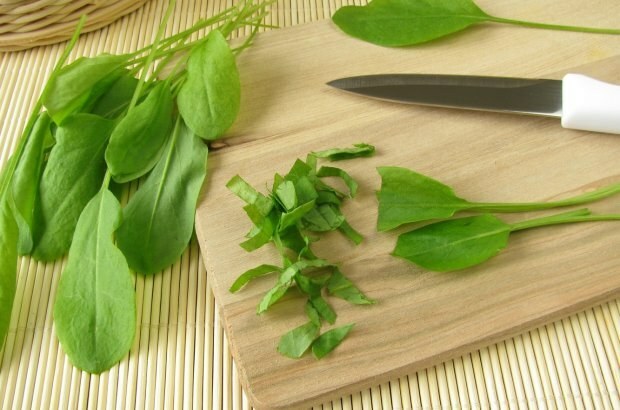 Herbs are mixed with crystals of salt or interleave them. It is possible to use additional preservatives, for example, vegetable oil. For pickling use the stone-coarse salt - it is best to ensure the safety of greens. Try to pickle the most popular herbs are dill and parsley. Wash and dry the greens. Finely chop it, mix the garlic chop the cloves. Layers put the dill and parsley, sprinkling with salt and laying slices of garlic. The last layer put salt. Close the jars and put them in storage in the plus area in the refrigerator. A dish in which you will add the prepared greens, salt with caution - a significant part of the flavor will provide saline parsley and dill. Another option pickling involves the use of vegetable oil. - 50 g of vegetable oil. Well washed and dried coarsely chop the dill put in jars. Boil water with vinegar and salt. Pour hot brine dill. Banks let cool slightly, then pour in the vegetable oil. Close the containers with lids and store it away safely. For soups it is convenient to salt mixtures of vegetables and herbs. Try to cook set, suitable for cooking soup or borsch. - 100 g of salt. Wash greens and vegetables. Carrots peel and finely chop the tomatoes chop. Spicy greens thinly slice. Put all the ingredients in a bowl, add salt and mix thoroughly. Put the mixture in jars so that she was covered with juice. Close the container with parchment paper or tightly close lids. Optionally a set of vegetables and herbs can be changed. For example, some parsley and celery should be replaced with the root - the flavour will be more intense. Place the jars with the salted herbs in the fridge. Properly prepared mixture is stored for several months.